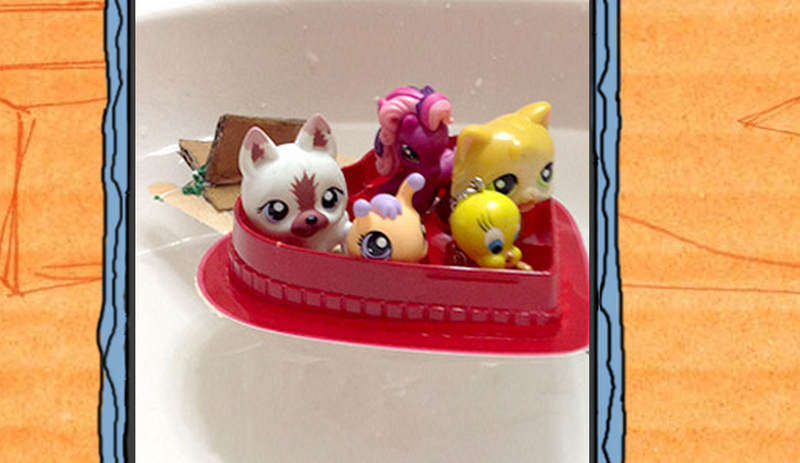 This is a rubber band powered boat. I made it by using an old chocolate carton, popsicle sticks, a rubber band, and cardboard. The rubber band propels the cardboard, therefore advancing the boat through the water. The more the rubber band is turned, the more potential energy it has, before placing in the water. When the boat is placed in the water, the rubber band unwinds, and makes the cardboard push the boat through the water. That is how my rubber band powered boat moves.